Work Redux brings together hundreds of women spanning diverse backgrounds to reimagine the future of the workplace. Join Pollen’s Work Redux community for a discussion that will center the narratives of women and non-binary leaders who know they are worthy. Get to know some of our Work Redux speakers in these Pollen profiles. You are worthy of your own ambitions. You are worthy of compensation. You are worthy of validation. 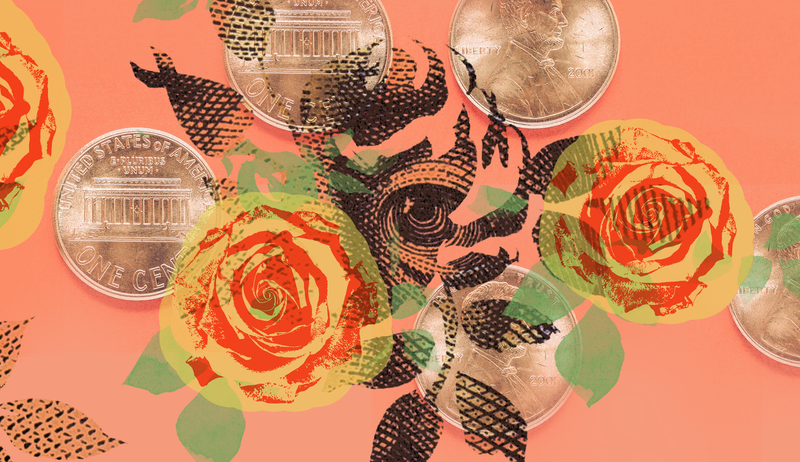 Despite being told to lean in and recognize our value or be more confident and assertive in the workplace, women remain chronically under acknowledged and under paid for the work we do. The pay gap between men and women continues its long yawn into the next century. Statistics show that Black women will wait until 2124 for equal pay and Hispanic women will have to wait until 2248. Mothers currently earn just 71 percent of what fathers earn. And “acting like a man doesn’t necessarily mean I’ll be treated like one.” In fact, women, particularly of color, are often punished for these kind of negotiating tactics. The full recognition of women’s worth means more than tackling the pay gap. 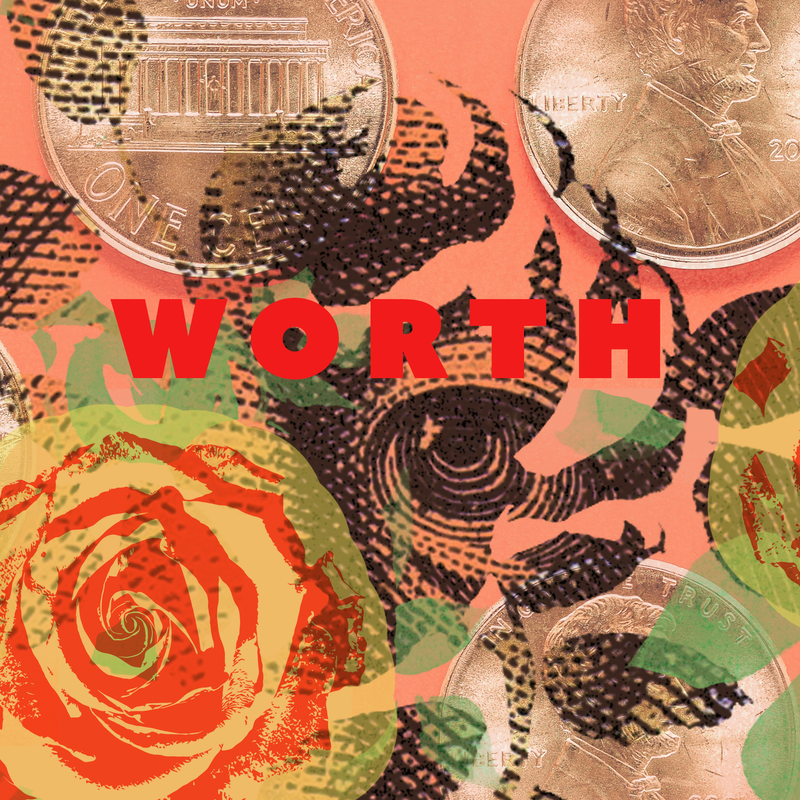 It means delving into how we measure worth — not just by money and title — but by diving into the nitty gritty of how we define our self-worth, our humanity. And this means our first ever, ALL DAY Work Redux. 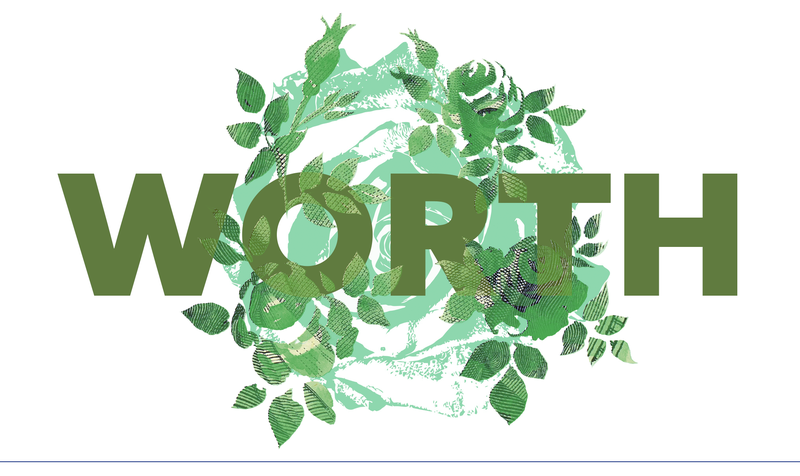 Work Redux | WORTH is presented by U.S. Bank, with support from the Bush Foundation, and our Champion Sponsors, Davis Law Office, Studio/E, MCAD Continuing Education and bswing. Thanks to the Minnesota History Center and Eat for Equity for their partnership. Ticket price includes breakfast, lunch, and beverages. The Minnesota History Center has a pay lot adjacent to the building; it costs $6 to park in this lot. The Minnesota History Center is also accessible via public transit. Check metrotransit.org for routes and schedules. Dara Beevas believes that books can save lives, open doors, and build bridges. As co-founder of the publishing company Wise Ink, she encourages authors to share powerful stories that ignite change, tolerance, and growth. She believes that leadership comes down to a single virtue: courage. She’s currently a Bush Fellow where she will grow her abilities to be a bolder, braver, and more balanced leader. She has been involved in the publishing community for 15 years, acquiring manuscripts, managing projects, and creating marketing and sales strategies for authors and publishers. She’s helped more than 400 authors publish their books. Originally from the DC area, Dara has a master’s degree in publishing from George Washington University. She’s a board member of the Minnesota Center for Book Arts and is the author of The Indie Author Revolution and co-author of Social Media Secrets for Authors. When she’s not busy pushing the envelope in this crazy world of publishing and networking with inspiring entrepreneurs, she’s traveling and enjoying her husband’s delicious Jamaican meals. Ashley Fairbanks is an Anishinaabe woman and citizen of the White Earth Nation. She operates as a socially-conscious designer and public artist. She works with a cohort of artists that do racial justice popular education and organizing. She seeks to use her design skills to activate people around issues ranging from police brutality to environmental justice. She has worked with the Energy Action Coalition, Indigenous Environmental Network and Honor the Earth to create campaigns around the KXL and Sandpiper pipelines and protecting our water from mining. Ashley went to the University of Minnesota to study American Indian studies and Political Science, and has completed Intermedia Arts Creative Community Leadership Institute, NACDI’s Native Organizing and Leadership Institute, The Humphrey School’s Roy Wilkins Community Policy Fellowship, and is a 2016 Forecast Public Art Emerging Public Artist Grantee. Arianna Genis’ background is in base-building, digital organizing, political campaigns, and storytelling. Her passion for this work led her to her role as Deputy Communications Director at Wellstone Action. Previously, she was the Director of Narrative and Cultural Strategy at TakeAction Minnesota, where she built a digital program based on creative storytelling and political education. In 2013, Arianna began her career organizing at the neighborhood level in South Minneapolis, working to build bridges between communities and direct city resources towards investment in communities of color. Her love for organizing and creative pursuits led her to launch Latina Theory alongside Maria Isa, a podcast centered on elevating the voices of Latinas in politics and art. Soon after, she joined TakeAction Minnesota where she directed the statewide digital program, led the online work as part of a successful campaign to pass earned sick and safe time in the Twin Cities, and most recently, defeating the preemption bill at the legislature. In 2017, she served as Campaign Manager for the winning municipal candidate campaign of Jeremiah Ellison in North Minneapolis. She’s most proud of ushering in a progressive victory with a tenacious team led by people of color and women. Nausheena Hussain is the Executive Director and founder of Reviving the Islamic Sisterhood for Empowerment. She is a social justice activist here to amplify the voice and power of Muslim sisters. She is creating gender equity through sisterhood, storytelling and public policy. Maria Isa is a Boricua (BO-REE-KWA) singer, songwriter, actress, rapper, activist, and international recording artist born in Minnesota and raised on St. Paul’s West Side barrio. Maria was raised by the influences of many different rhythms of Afro- Latino Indigenous culture and channeled it into performing arts and activism at an very early age. Since 2009, Maria Isa serves as CEO for her independent label SotaRico distributing 13 of her albums bridging her music mix and upbringing of Minnesota and Puerto Rican culture into a fusion of sound. Maria received the National Hispana Leadership Institute’s “Rising Latina Star” award for her outstanding work on behalf of working and educating incarcerated youth throughout the state of Minnesota, continues to instruct and mentor students through five youth programs, and serves on the board of the Twin Cities Mobile Jazz Project. She is the co-host and co-creator of The Latina Theory: A Spanglish Podcast in which NPR titled as “one of the top Latino podcast in the country to listen to.” As a member of PRIM (Puerto Ricans In Minnesota Committee) she has conducted press conferences, media forums, community events, and agendas educating national community leaders, Senators, and Congressmen about the history and current status of Puerto Rico. In September of 2017, Maria became an advisor for El Fondo Boricua a Fund of the St. Paul Foundation, where she most recently has led efforts in Minnesota, New York City, and Washington DC to raise over $100,000 in one month towards hurricane relief in Puerto Rico’s aftermath of Hurricane Maria. Her upcoming album “Sasa” is set to be released this year and is anticipated to be Isa’s finest work to date. Gunjan Kedia is Vice Chairman, Wealth Management and Investment Services of U.S. Bancorp, and a member of the Managing Committee, its senior most leadership group. Gunjan’s leadership and financial experience spans State Street Financial, BNY Mellon, and McKinsey & Company. Gunjan is active in the community and serves on the board of the American Red Cross of MA and on the Board of Business Advisors for Carnegie Mellon Business School. Lady Midnight has been featured on Twin Cities Public Television’s “Lowertown Line” and “MN Original.” Formerly lead vocalist of afro-cuban band Malamanya, she is a member of underground electronic group VANDAAM and ensemble member of 9th House, a collaborative project from Twin Cities elite MC’s I Self Devine & Muja Messiah with whom she performed at the 2016 hip-hop festival, Soundset. In addition she has contributed to past and upcoming recorded projects from Brother Ali, Sonny Knight & The Lakers, Sarah White, Jayanthi Kyle, Maria Isa, Mike the Martyr, Adept, Sloslylove and Noahs Heark (RBMA Paris alum). Oskar is a Hmong French American artist, cultural producer, and consultant based in St Paul. Her work spans across Hmong LGBTQ, racial equity, social enterprise and community development. She is the founder of ArtCrop, a community supported artshare model pairing art and food to deepen investment in artists and farmers as Hmong culture bearers and also has her own fashion art label, Os.Couture. She is the Community Connections Manager at the Metropolitan Regional Arts Council developing key initiatives to drive racial equity and panel development in the organization’s grantmaking. Prior to this she has led cultural productions such as the Little Mekong Night Markets, SOY New Year, Fresh Traditions Fashion Show. Oskar’s creative practice is rooted in social justice, using organizing and facilitation as a means to engage community. Nekessa is a writer, a communications and media professional, and an advocate of community. Her work promotes a grassroots articulation of often unheard voices. In her work, she explores class, migration, education, gender, sexuality, identity and belonging, mostly from a Black and immigrant perspective. Her work includes video production, research, and work in media as a publisher, editor, producer, and writer. She hosted and produced a long-run weekly radio show on immigrants and immigration. She is a co-founder of the Minnesota-based Black Immigrant Collective. Chanida Phaengdara Potter is a 1.5 refugee, equity advocate, community engagement strategist, narrative storyteller, blogger and above all else, a restless mother. She’s the founding editor of Little Laos on the Prairie and executive director of The SEAD Project. Born in a labor camp in Viengxai, Laos, Chanida found her permanent home in Minneapolis. She has worked 10 years in the nonprofit field on public affairs, community development, and human rights advocacy. She has a bachelor’s degree in global studies and media studies from the University of Minnesota-Twin Cities and a master’s degree in public administration from Hamline University. Chanida has been featured in Twin Cities Daily Planet, Asian American Press, The Uptake, Minnesota Public Radio, Star Tribune, Pioneer Press, Voice of America, Reappropriate, Angry Asian Man, among others. She currently serves on the board for the award-winning citizen journalism organization, Twin Cities Media Alliance, Southeast Asian Roundtable of Minneapolis, Minnesota Data Disaggregation Coalition, and Lao American Writers Summit. Davis Senseman founded Davis Law Office in 2010 with a three-fold mission: provide top-notch legal work, charge fair prices for it, and never stop evolving to meet the changing needs of clients. Over eight years and more than 800 clients later, Davis continues to believe that business owners can be a vital part of making the world a better place. Davis teaches the Business Law Clinic at Mitchell | Hamline School of Law and serves on the boards of Mainstreet Alliance Minnesota and Still Kickin. Davis lives in Northeast Minneapolis with their partner Sarah, two sons, two bulldogs, a cat and a gecko. Jenny Srey is a social service worker by profession and was directly impacted by the deportation process after her husband was detained by U.S. Immigration and Customs Enforcement (ICE) in August 2016. Her husband along with seven other Cambodian Minnesotans were abruptly taken from their families. Through this crisis, Jenny, along with other family members, organized a grassroots community campaign called Release MN8 in an effort to save their families. Fortunately, Jenny and her husband are now reunited. They are hurt by seeing the families continue to be separated and have committed themselves to doing the work necessary to dismantle systems harming the community. Jenny is a lead organizer for Release MN8, which continues to grow and serves the same purpose of protecting the community from harmful deportation policies. For over 14 years, Sweetpea has been entertaining audiences at home and abroad. From being a pioneer of the Twin Cities’ burlesque revival and headlining international festivals, to producing and hosting events in her hometown of Minneapolis as well as organizing showcases in Las Vegas, she has established a reputation as a powerhouse performer, producer, and teacher. The Burlesque Hall of Fame titleholder dedicates her time offstage to directing a group of performance artivists called The Vigilantease Collective, and helps others reconnect with their bodies, sensuality, and overall wellness through workshops at Studio Sweet. Loddy Elizabeth Tolzmann currently serves as the Director of Policy & Planning in Ramsey County, where she leads planning and policy analysis across the organization to inform the county’s strategic priorities and supports its vision, mission and goals. She has practiced immigration law for over 13 years, managed her own law firm, and also served as the U.S. Branch Manager of a leading international-based immigration and visa consult firm in London, England. Loddy received her Juris Doctor degree from the University of St. Thomas School of Law and bachelor’s degree in business/marketing from the Carlson School of Management at the University of Minnesota. She is also an Adjunct Faculty member teaching the Mentor Externship program at the University of St. Thomas School of Law and a board member of Mines Advisory Group (MAG) America based in Washington, DC, that works to raise awareness and clear landmines and cluster munitions from the world’s most impoverished countries. Rosemary Ugboajah is the founder and president of Neka Creative, a brand development agency committed to bringing the power of inclusion to organizations through their proprietary process, Inclusivity Marketing™. In addition to over eight years of brand agency ownership, Rosemary gained her breath of experience from various advertising agencies and as a marketer for Target Corporation. A testament to her zeal for excellence, her agency has won multiple communication and design awards, including five Graphic Design USA awards. Rosemary studied art and design at West Kensington College of Arts in London and has a Bachelor of Arts in advertising from the University of Minnesota. She currently serves on the board of Art Buddies and volunteers for a number of community organizations that focus on equity and inclusion strategies. A champion of bringing people, charitable resources, and ideas together to spark positive community change, Sandra Vargas has served as President and CEO of The Minneapolis Foundation since 2007. She has recently retired from that position and has been appointed as a Senior Executive Leadership Fellow with the Hubert Humphrey School of Public Affairs at the University of Minnesota. In this position she will make the issues of racial, social and economic equity major themes in initiatives and projects. Sandy is active in several Twin Cities organizations and serves on the local boards of St. Catherine University, Minnesota Comeback, and Wallin Education Partnership. She also is an active member of the national boards of Independent Sector, 50CAN, and Hispanics in Philanthropy. Ellen Walthour serves as the Executive Director of The BrandLab, a Minneapolis-based non-profit organization that exposes high school students and builds a path for them to thrive in a career in the marketing industry. Ellen has served The BrandLab since 2009, and took on the Executive Director role in 2011. When she started her career at The BrandLab, the organization was engaged with four agencies throughout the Twin Cities and served 20 students a year. Under Ellen’s leadership, the number of organizations The BrandLab works alongside has increased to more than 70. She has also been instrumental in expanding the organization’s reach to serve over 1,000 students annually who want to learn more about careers or experience working in marketing. Today, The BrandLab is opening up shop in Kansas City and Chicago, ensuring more young people can pursue creative and viable careers. Ellen and her family just got a new puppy, Joy, and all of Ellen’s free time is now being monopolized by making sure her little girl doesn’t destroy all of the shoes. Tene Wells is a highly creative and results driven social entrepreneur who believes everyone has the power to create the lives they imagine. Her own life and travels are a testament to the possibilities of the life of a black girl born in a housing project in North Minneapolis. She has led organizations that have done some amazing work to help fathers and children unite, build small businesses in blighted communities, and help children succeed in school. She has travelled to many places including Tanzania, Cuba, South Africa, and every state in North America to shape her global perspective and entrepreneurial passions. At the age of retirement, she become a muse for Black Communities. Tene Wells Blue Sky Thinking™ evokes creativity and innovation for people, businesses, community, and causes. Through her enterprise she helps people create new lives, transform organizations, start and grow businesses, and initiate new solutions to solve wicked problems. With a process of discovery and prioritization, clients develop sustainable strategies to advance their personal and professional missions and live an authentic purposeful life. Kabo Yang currently serves as the Executive Director of the Minnesota Women’s Consortium, a statewide nonprofit organization comprised of 100-member groups committed to closing gender disparities. Kabo has an independent consulting practice specializing in nonprofit management, leadership development, and inclusion initiatives. Her career in the nonprofit sector includes paralegal of immigration law at Southern MN Regional Legal Services and foundation relations manager at Greater Twin Cities United Way. She has also served on several nonprofit noards including Headwaters Foundation for Justice, Galore: Professional Hmong Women’s Network, CAPI USA, and ProtectMN. Kabo also teaches in the Master of Arts in Organizational Leadership program at St. Catherine University. She has a bachelor’s degree in business administration, a master’s degree in organizational leadership, a master’s degree in human and organizational systems, and is currently finishing up her PhD with her dissertation topic on refugee women, leadership, and integration.